deeds nor their sacrifice to our nation. Location. 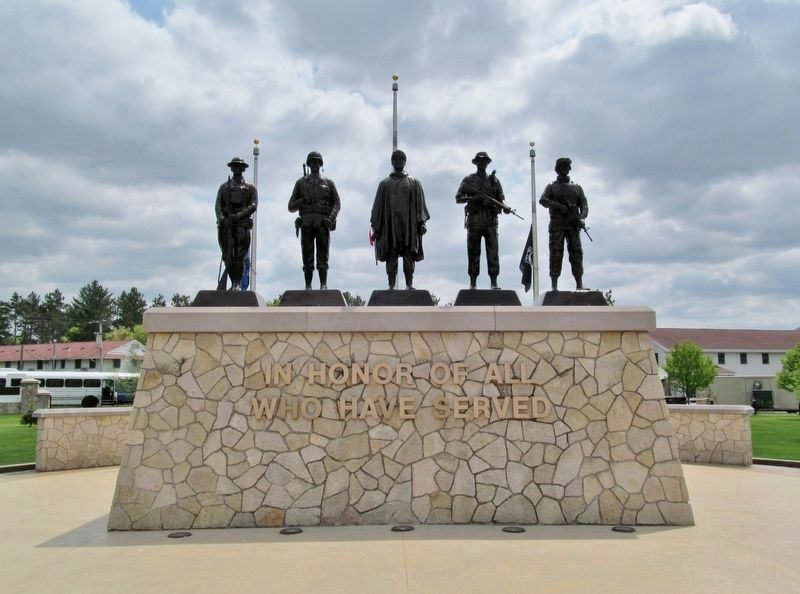 44° 1.096′ N, 90° 39.841′ W. Marker is in Fort McCoy, Wisconsin, in Monroe County. Marker can be reached from Circle Drive east of South S Street, on the right. Touch for map. 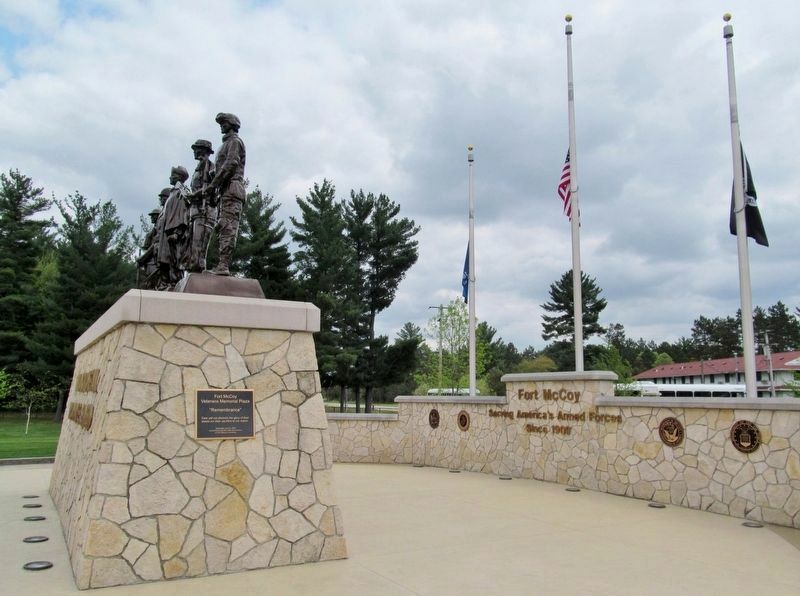 Memorial is located at Veterans Memorial Plaza within Fort McCoy, the only U.S. Army installation in Wisconsin. 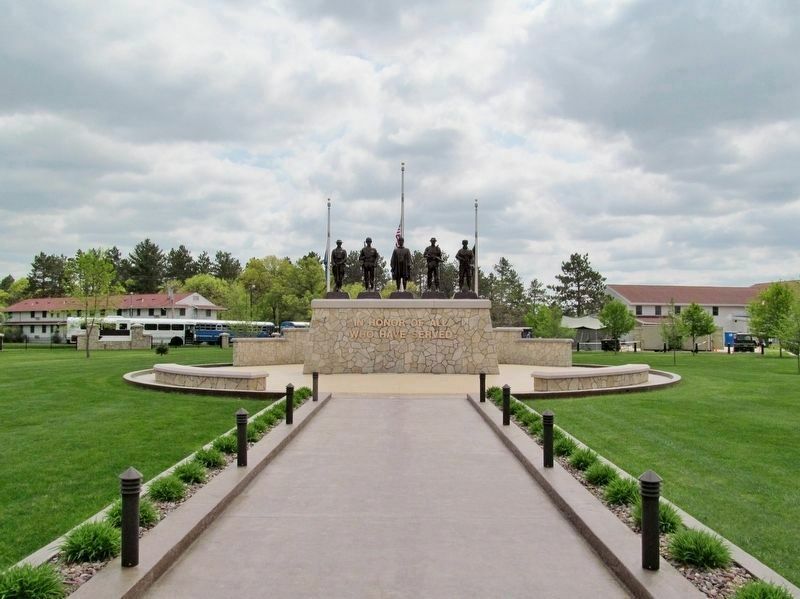 Restricted area – memorial is beyond the security checkpoint. Marker is in this post office area: Sparta WI 54656, United States of America. Touch for directions. (approx. 8.7 miles away); Sparta Free Library (approx. 9 miles away); U.S. Post Office (approx. 9 miles away); Masonic Lodge (approx. 9 miles away). More. Search the internet for In Honor of All Who Have Served. Credits. This page was last revised on March 20, 2019. This page originally submitted on March 20, 2019, by Keith L of Wisconsin Rapids, Wisconsin. This page has been viewed 43 times since then. Photos: 1, 2, 3. submitted on March 20, 2019, by Keith L of Wisconsin Rapids, Wisconsin.